A graduate of the University of South Carolina School of Medicine in Columbia, W. Shawn Ghent, MD, FCCP, completed his residency and fellowship at Richland Memorial Hospital/William Jennings Bryan Dorn Veteran Affairs Medical Center in Columbia, South Carolina. Dr. Ghent has more than 25 years of experience providing specialized care for respiratory diseases, sleep disorders and chronic illnesses. He is board certified in pulmonary medicine and is a member of the American College of Chest Physicians and the American Thoracic Society. 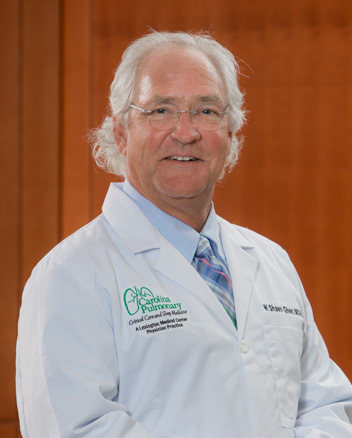 Dr. Ghent most recently served as an assistant professor of clinical medicine at the University of South Carolina School of Medicine in Columbia and treated patients at Midlands Pulmonary, Critical Care & Sleep Medicine in Columbia. He has also served as a principal investigator and a sub-investigator in a variety of MedTrials® clinical trials.